FAIRFAX, Va.–(BUSINESS WIRE)–According to AAA, more than 46 million Americans plan to travel 50 miles or more from home this Thanksgiving – the most for this holiday in seven years. With so many travelers heading to homes and hotels, via various modes of transportation, the National Pest Management Association (NPMA) reminds the public that bed bugs remain a problem and that prevention is crucial to stem the spread of this pest. According to a 2013 NPMA/University of Kentucky survey, 75 percent of pest professionals treated for bed bugs in hotels; 21 percent on public transportation (train, bus, taxi) and two percent on planes. Pull back hotel bed sheets and inspect the mattress seams for stains, spots or bugs. Also check behind the headboard and in sofas/chairs. Immediately notify management of any signs of bed bugs and ask for a new room. Ensure the new room is not adjacent and/or directly above/below the original room. Bed bugs can easily hitchhike via housekeeping carts, luggage and even through wall sockets. Upon returning home, inspect luggage before bringing it into the house and vacuum it thoroughly before putting it away. 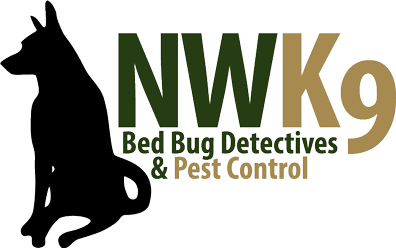 If you get to the end of your holiday travels and suspect you have Bed Bugs – don’t hesitate to call us with questions, or to schedule a bed bug inspection 206-801-3522.